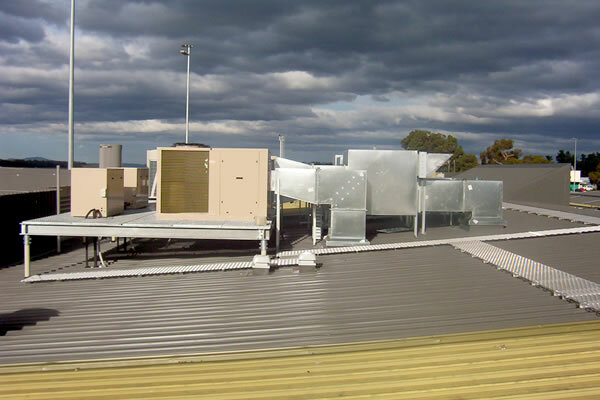 Weatherfoil is a major installer of airconditioning in Tasmania and has provided services in many landmark city buildings. 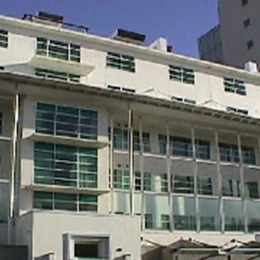 Weatherfoil has experience in a range of building types and usage including high rise office buildings, hospitals, educational institutions, telephone call centres, shopping centres, hotels, high security law enforcement, and detention centres. 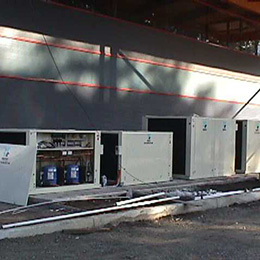 Airconditioning systems installed range from simple packaged / split systems to full central plant including large air to water heat pump chilled and heating water systems as well as geothermal systems. The $4 million MONA museum and library project by nature demand high quality air conditioning with precise temperature and humidity control without stratification in the extensive gallery areas. To address stratification issues the gallery areas have displacement air distribution via wall plenums constructed as part of the building. 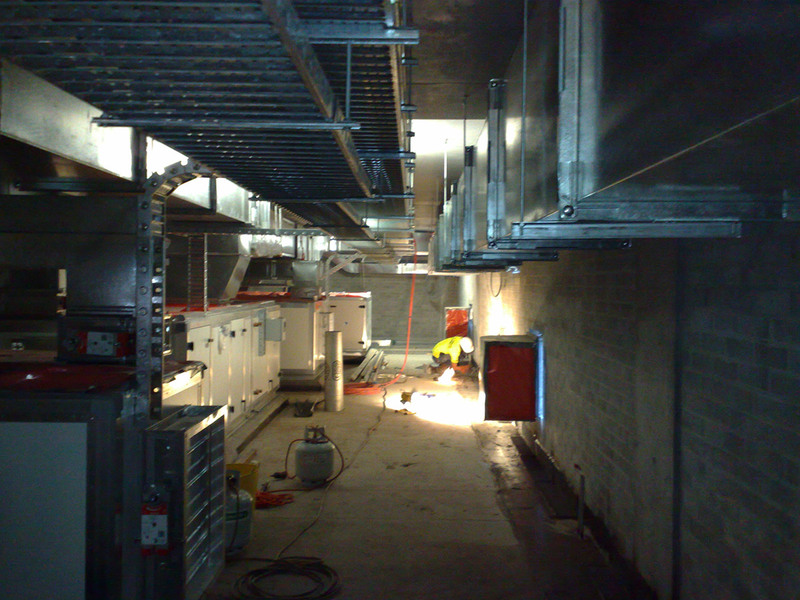 Other areas are served by conventional diffuser distribution systems. 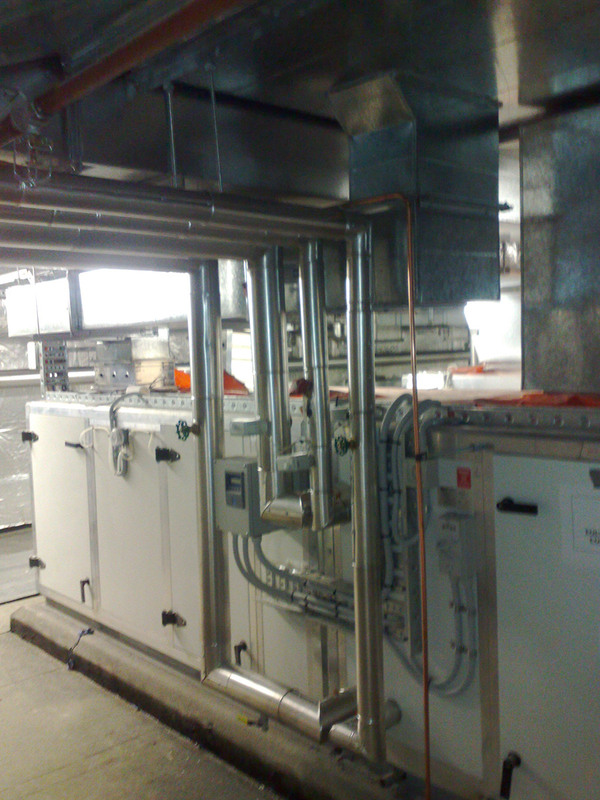 The air systems are catered for by 24 single zone air water AHUs with humidifiers, and a similar number of FCUs. The air handling plant is supplied with heating water from three gas fired HW boilers, 2 duty 1 standby plus an electric HW boiler backup. 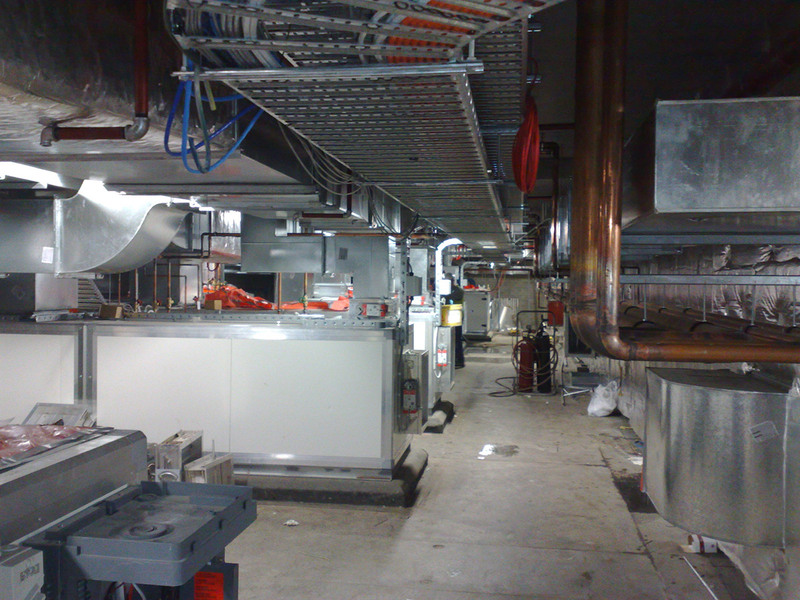 Chilled water is supplied by 3 Carrier air cooled screw chillers with a total installed capacity of 1200kW. 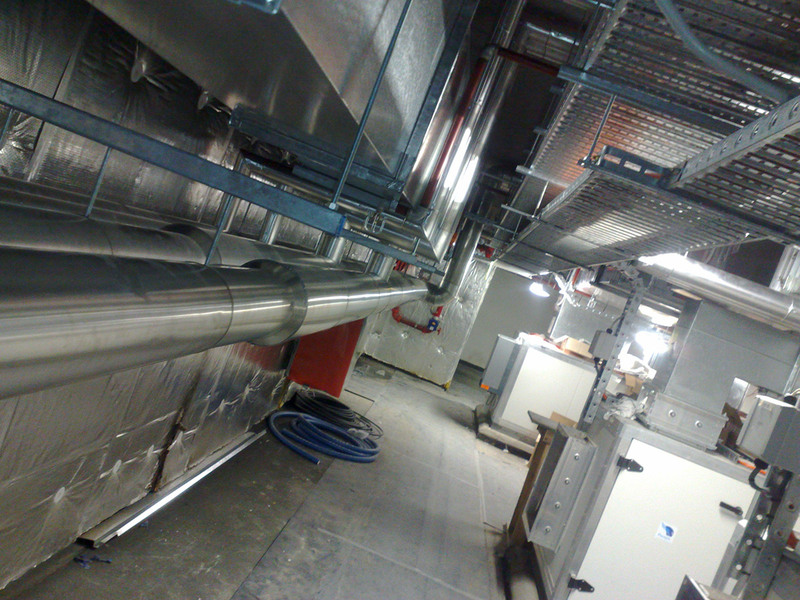 The majority of the AHUs along with the gas boilers and pumping plant is located within the B2 plant rooms that take most of that floor. 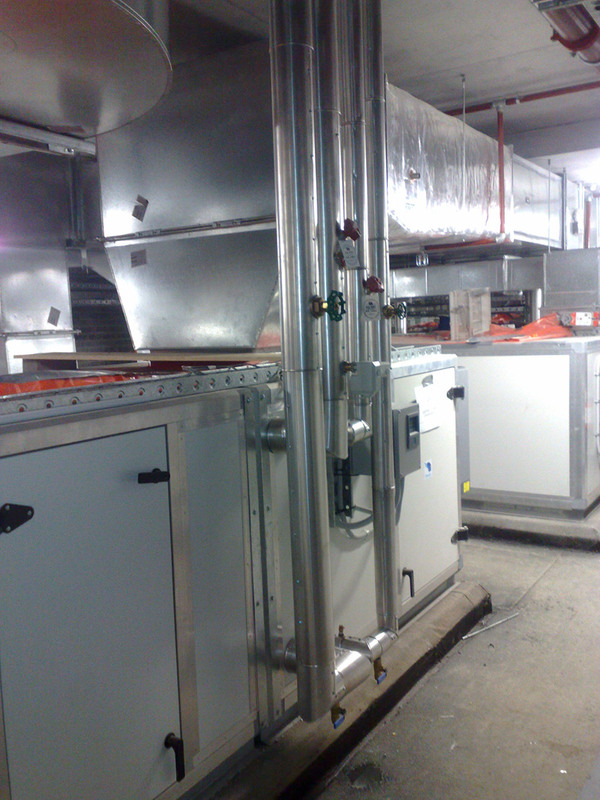 Another complete air handling unit, there are 24 installed, mostly in two ajoining plant room areas. 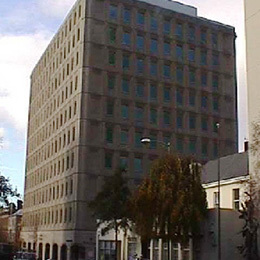 The contract value for airconditioning on the MAIB building exceeded $2 million, with work including replacement of ducting on all floors. 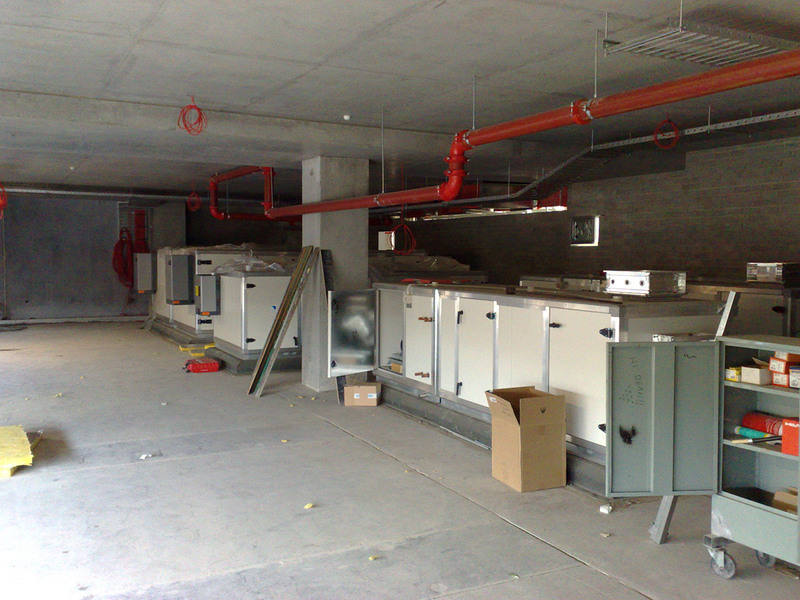 Heating and cooling was provided by an air cooled chiller and 4 air to water heat pumps supplying total heating and chilled water capcity of 580kW and 975kW respectively. 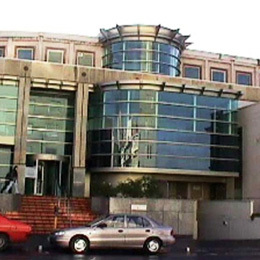 The Hobart Magistrates Courts Stage 2 and combined adjacent Remand Center with a services value of $850,000 provided AC to Courts and Administration utilising chilled warer plant and electric duct heating. Basic heat/cool ventillation to Remand building incorporated sophisticated smoke spill and fire control as well as secure air distribution terminals. 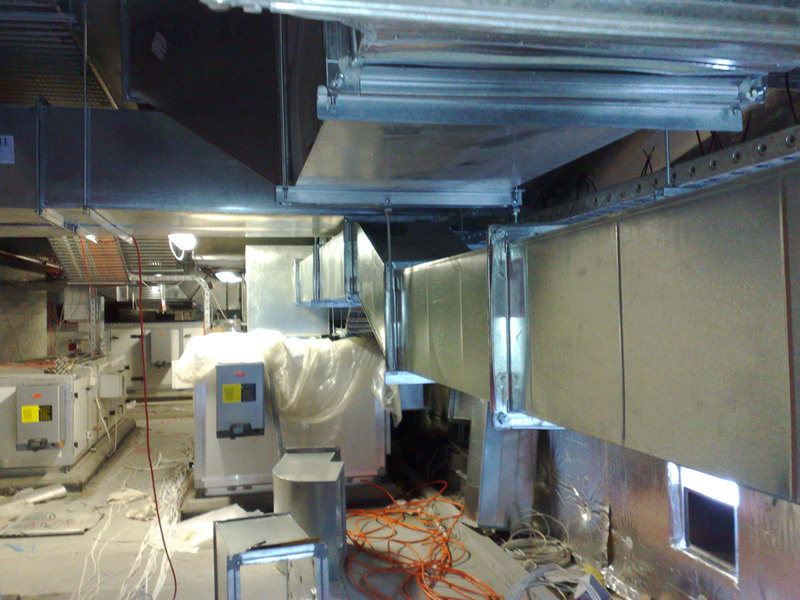 The Royal Hobart Hospital new Wards Block $2.2 million mechanical subcontract included airconditioning of wards, car park and general exhausts, medical gas installation and isolation wards systems. 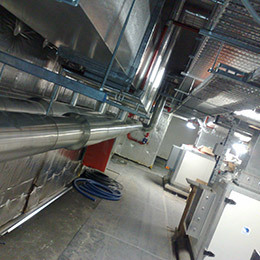 Conditions were met by heating and cooling water systems supplied by 3 air to water heat pumps providing a capacity of approximately 555kW. Comfortable away from home, using expertise and experience gained from managing and completing contracts in all parts of Tasmania from our Hobart offices Weatherfoil successfully completed this project in Erina NSW for Tasmanian builder Vos Constructions and Joinery. 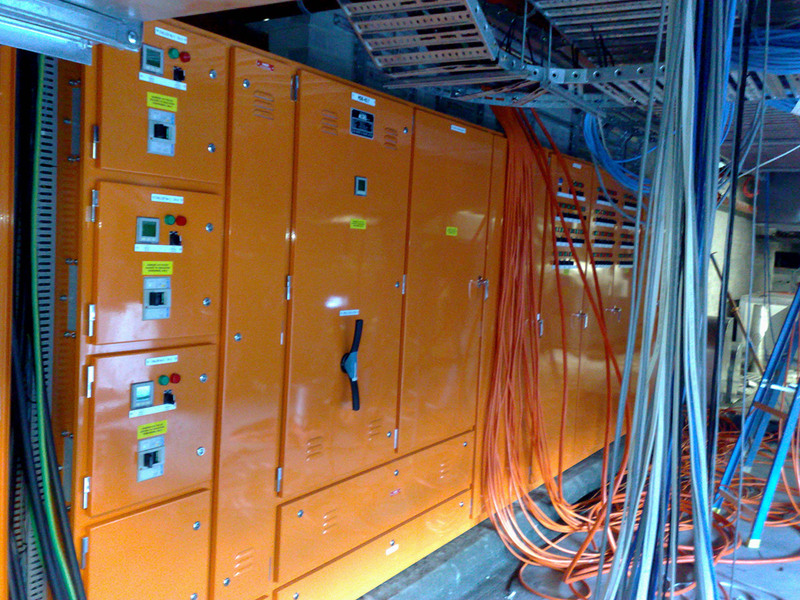 Weatherfoil also completed the airconditioning of a cinema complex in Orange NSW at the request of a satisfied customer for whom we completed similar work in Tasmania.